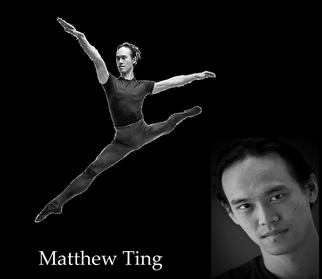 Matthew Ting | The New York Baroque Dance Co.
Matthew Ting was born in Philadelphia and grew up in El Paso, TX. He first danced for Leah Tubbs in 2012. He is a principal dancer of Ballet for Young Audiences, where he also serves as ballet master. He is also a member of The New York Baroque Dance Company and has danced for companies such as Connecticut Ballet, mishiDance, stringdance+media, and JT Lotus Dance Company. He is a graduate of the Great Books program of St. John’s College, Annapolis. In addition to dancing he is also an actor and enjoys singing in choirs. He joined The New York Baroque Dance Company in 2014.